Is this William Shakespeare’s skull? Nah. Tldr for the youngsters; Shakespeare’s skull probably wasn’t stolen, and if it was, the skull in Beoley church almost certainly isn’t it. You’ve probably seen the press about a recent UK TV documentary on Shakespeare’s missing noggin. I actually have yet to catch up with the programme itself, but it did pique my interest, just in case there was some BSery afoot. In fact, for the most part, it was pretty responsible, and there’s actually some critical assessment of two claims. Firstly, and this is what’s got most of the press, they test historical claims that Shakespeare’s skull was stolen from his grave in 1794. These claims were first made in an an anonymous article (actually a story; see below) published in the Argosy magazine in October 1879 (you can read it here thanks to archive.org), and then again in an 1884 pamphlet written by the same man, later determined to be the Rev. C.J. Langston (aka Charles Jones), entitled ‘How Shakespeare’s Skull Was Lost and Found’. No-one seems to have taken these seriously either at the time or later, until recently that is. The Channel 4 team have produced some interesting evidence that might support that, although it’s far from as conclusive as the show and those involved are making out. As an aside, I have to say that I pretty much agree with the church’s reasons for not opening it; The theft story wasn’t really very plausible at face value (see below), and I really don’t get why the ‘tomb’ was such a mystery to people (as it seems to have been) purely on the basis that the stone with the words on it is much shorter than those of his family next to it. Some even speculated (no doubt with tongue in cheek) that Shakespeare was buried standing up! But anyone that’s spent any time looking at church burials knows that graveslabs are rarely uniform in size, material, shape, engraving etc, unless the family deliberately planned it out ahead of time. Anyway, to the evidence; the GPR plot (see the image on the The Guardian’s coverage here) shows conclusively that 3 feet down, the Shakespeares are actually buried in a series of individual graves, not a family vault as had been assumed previously. Secondly, it proved that William’s grave is just as long as the others under the slabs (duh! ), and that his head isn’t up where the stone is (again, duh – Christian burials typically have the head at the west end of an east-west oriented grave). So far, so good; this is good solid archaeology telling us something new and confirming other things that we probably knew. However, for some reason the investigators decide that the blank slab over the head end of the grave is somehow significant. Again, I don’t really see why, unless you’re wanting the theft story to be true. A church floor is a very practical structure, and a grave or memorial slab is in some ways just another paving slab. If for whatever reason someone (or their family) decides that they want a small slab with a particular inscription, there still needs to be a paving slab to fill the gap, and I personally think that’s what we’re seeing. It’s obvious that the documentary is in love with the idea of Shakespeare’s skull having been stolen, even as it dismisses most of the same story. It’s pointed out that the original 1879 Argosy story about the alleged theft does correctly talks about lifting a slab and rummaging around in the dirt, rather than descending into a family vault, and takes this to mean that there could be something in the story. I don’t follow the logic here; this could easily just be a correct guess. No-one reading the story could confirm whether this description of the ‘tomb’ was correct, nor would they care. [Edited to add 3.4.16:] Fellow sceptic Eve Siebert at VirtualSkeptics.com (about 30mins in) is also sceptical of the documentary’s confident conclusion. Though she hasn’t actually seen the documentary itself, the point she makes doesn’t require her to. She makes the convincing case that Langston’s Argosy article was never intended to be factual, and is definitively a fictional short story. She also suspects that this was the origin of what is now (since perhaps the 1940s) local folklore (now of course international folklore thanks to the internet!). I think she’s right. If you look through any issue of the Argosy, it’s pretty clear that every issue is essentially a compilation of short stories and poems. If you read the actual story, it’s really no different, except perhaps for a Da Vinci Code style ‘BASED ON TRUE EVENTS!! !’ tone. It’s likely that he was inspired by recent vocal attempts by those seeking to confirm purported likenesses (and by phrenologists as the documentary says) to exhume the skull. Having attracted some attention, Langston then adapted this story, with an additional section about having rediscovered the skull, into the 1884 pamphlet, where it is more difficult to see the fictional context. This means that regardless of the geophysical evidence, people are trying to prove a fiction. It would be like astronomers looking for the galaxy ‘Far, Far Away’, or an historian deciding to follow in Robert Langdon’s (Langston, Langdon… spooky!) footsteps to discover the truth of the Da Vinci Code. Now, Eve also notes that Benjamin Radford (also a prominent sceptic) has written a piece on the case. This actually supports the claim by discussing the very real background to celebrity skull theft. However, Radford does not actually support the claim that Shakespeare’s skull has been stolen. Quite frankly, if it has somehow been removed from the grave, it would be coincidental with the yarn spun by Langston, which some allege may actually have been intended to raise money for his church roof (see here). Back to the geophysics. The disturbance of the ground at the ‘head’ area is interpreted by the geophysicist (Erica Utsi) in the documentary as a box-like brick or stone repair. Archaeologist Kevin Colls goes several steps further – much too far in my view – and takes it as confirmation that the theft happened as described. Even if he’s right though, I should point out that GPR cannot confirm detect the presence of organic materials, so it is not actually possible to confirm whether or not the skull is missing. I think there’s a reasonable chance that the account really was the exercise in Victorian trolling that it reads as (see the original book here), and that some other excavations in the church floor might account for the disturbance. Until and unless the church allows the grave to be opened, this is as close as we’re likely to get, and for many the proof that the head end of Shakespeare’s grave has been monkeyed with will be enough to confirm the myth. The documentary claims no evidence of works undertaken in this area, despite extensive restoration work in the 1880s. However, this cuts both ways; there’s also no record of any repair to the damage caused by the alleged theft, either! It’s also not true. With just a bit of online research, I’ve identified one episode that would account for this GPR anomaly, recounted in ‘Shakespeare’s Lives’ by Samuel Schoenbaum (p.340 – the primary sources given are Anon. Shakespeariana, Monthly Magazine, 45 (1818), p.2 and the recollections of one James Hare from the Birmingham Weekly Post). In 1796, work on creating an adjacent grave for the rector, Dr Davenport (actually his wife, who died long before him) caused a collapse into Shakespeare’s tomb. 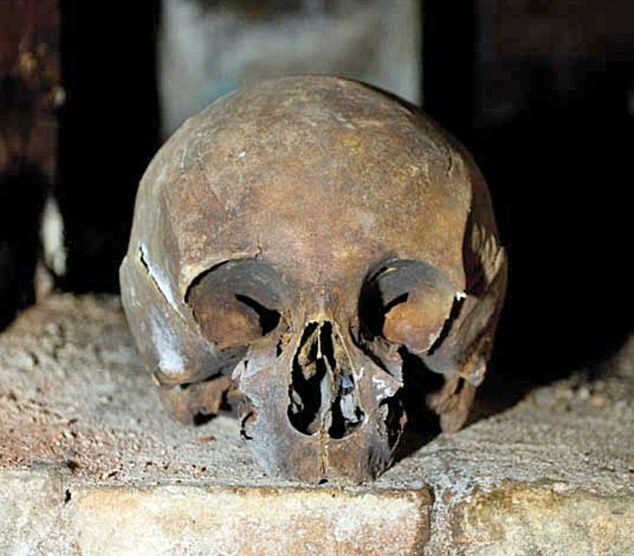 More than one observer peered in to see what they could see, which after more than 200 years in the earth under a church floor wasn’t a great deal, though one did claim to have seen the remains, including the skull. These accounts don’t say at which end of the tomb the collapse occurred, but given that we now know one end is basically solid earth (with graves cut into it), and that there’s a brick or stone wall at the head of the graves, this wall was either constructed or at least repaired when the vault was built. This would explain why a box-like support would be needed underneath the grave and floor slabs, as the existing material supporting the blank ‘head’ slab would have collapsed (creating the hole that people were peering into). By the way, as far as I can tell, Stratford church has no crypt per se apart from that left by the demolition of the old charnel-house, so the ‘vault’ (also called a ‘grave’ elsewhere) mentioned was likely just a fancier lined version of Shakespeare’s, rather than the sort of family vault in a crypt that we tend to imagine. Hence workers would have lifted slabs and started digging, inadvertently weakening the earth wall of Shakepeare’s grave, before installing the brick or stone wall to shore up the older interments before finishing the vault for the new ones. Ingleby also claims that the repairs made included a new stone. The area would also have been disturbed to bury Davenport’s son in the same year, his daughter in 1821, and finally Davenport himself (aged 92!) in 1841. That’s apart from any other repairs that might have necessitated disturbing Shakepeare’s grave. In any case, despite Colls’ wishful thinking, the GPR work is not conclusive evidence of the claimed 1794 break-in. Note that the alleged theft wasn’t actually reported by anyone until the 1879 article, long after those alleged to have committed the crime had died without ever admitting anything. If it really happened, there ought to be some other record of the break-in, unless of course one is looking to cry ‘conspiracy!’. The theft would have been a major undertaking, and one difficult to cover up, even if the culprits had got away with it. Incidentally, I did appreciate the hypothesis presented that Shakespeare’s ‘curse’ on his grave slab might be based upon a very real post-Reformation fear of being exhumed, disarticulated, and placed in a charnel house. There was even a reference to Romeo & Juliet to support this. Of course, Shakespeare could just have been playing the dramatist. The second claim is much more recent, and in my view even less robust. The 1884 book claimed that the skull had been returned; not to Stratford, but to St Leonard’s Church in Beoley (the name of the church isn’t given, but it is clearly indicated). It also stated that the skull had been rediscovered on the basis of a piece that had been cut out by the thief in order to be able to do just that on a return visit. The new claim is that the skull has since been rediscovered by a Richard Peach, who published an article in The Village magazine in October 2009. This seems to have made few waves, but a few years later, actor and author Simon Stirling really went to town on the idea in his 2013 book ‘Who Killed William Shakespeare?’. You may or may not be able to read the relevant chapter in the Google Books preview, but I will summarise the claim here. A missing piece from the base. Yes, in the 1879 and 1884 accounts, the Shakespeare skull (if indeed that skull was his, or was anything more than a figment of the author’s imagination) was missing a piece. But as Stirling admits, the original piece was cut from the forehead, not the base! A ‘darkly discoloured region’ on the right brow that supposedly matches a ‘star-shaped’ scar seen in the death mask (probably a fake in any case!) and which ‘appears as a groove on the Davenant bust’. I’m not seeing this, personally, and in any case the Davenant bust is not from life, or even death, being generally dated to the mid-18th century (one lone scholar claims it to date from Shakespeare’s lifetime, but has been roundly criticised). A fracture also in this area, apparently also seen on the Davenant bust. This is very clearly a post-mortem fracture (if you think there’s doubt over that, just wait). Two parallel scratches from this area across the forehead, allegedly also seen on the Davenant bust, as well as Dugdale’s (very rough!) sketch of same, and the Chandos portrait (the likeness with the best authenticity, but still not 100% verified). I can just about see what he means here, but I strongly suspect pareidolia. Even if there’s something there, for these scratches to be visible in soft tissue, there would have to be two fairly massive scars visible on the portrait and bust. An ‘uneven forehead’ and ‘roughly oval depression, mid-brow’, bizarrely blamed on the thumbs of an over-enthusiastic Elizabethan midwife by Stirling. OK, he’s lost me again. Where??! His composite image comparison can be seen in the Goldsmiths article as figure 18. Apart from anything else, the region he highlights on the skull in the book is NOT the forehead but the crown of the head (he even references the fontanelle in the book. This is very high up on the head). Indentations/scratches on the left side of the skull (figures 17 & 18 in the article). These he conflates with the ‘uneven forehead’ defect (still not on the forehead by the way!). Like the others, these may well reflect a wound on the skull, if not on Shakespeare’s actual head. Funnily enough, this is the only feature that I think I can see a parallel for on any of the images; the Chandos portrait (see high res image here). Hardly conclusive though. Another fracture in the left eye socket, supposedly reflected by ‘relaxed skin’ over the eye on the (probably fake) death mask and seen in Droeshout and Chandos portraits. Sorry, not seeing this either. A broken ‘fissure’ (he means suture) on the right side of the skull (left as we look at it), supposedly also evidence of some traumatic injury and which apparently accounts for ‘the protruding left eye of the death mask and possibly the swollen caruncle visible in the posthumous portraits…’. These separated sutures are incredibly common in old skulls, especially on either side (see the skull pictured here) and are an artefact of the drying out of the bones and damage sustained over time. Finally, a claim made in the article and not the book; that ‘The outline of the broken maxilla on the left side of the face is reproduced as a jagged grey line running down the cheek’ in the depictions. These breaks on the skull are obviously post-mortem. If Stirling is suggesting a portrait made from the corpse, then such fractures (which would be perimortem according to his murder theory) are not going to be visible through soft tissue. Let’s take stock. In 1884 Langston identified a skull in his own crypt as Shakespeare’s on the basis of an article that he himself had written, claiming (for the first time) that Shakespeare’s skull had been stolen and relocated. There was no corroborating evidence, and it would have been impossible for anyone to check this unless the author (Langston), who also controlled access to the vault (being the vicar) allowed it. No one seems to have done so. At some point local lore identified a skull in that vault as the one in question, despite the fact that it didn’t have the diagnostic piece of bone ‘clipped’ from the forehead (which, by the way, would have been very hard to take from the skull without massive damage). Over a century on from Langston’s writing, (2009) a local man photographed this skull and published an article under the assumption that it is the same one, Finally, in 2013 someone else (Stirling) lists certain features and defects on this skull that (very) subjectively resemble those on artistic depictions of the man himself, only two of which are confirmed as being authentic and are still only artist’s impressions of a man who was already dead when they were made; almost certainly not from his actual corpse. Even worse, none of these likenesses are confirmed to have been made when Shakespeare was alive (or even from his corpse). That’s a pretty flimsy chain of evidence not only for this being Shakespeare’s skull, but also Stirling’s theory that he was murdered. This was just my assessment of the book chapter & article. Before having seen the documentary, I rather suspected that as well as confirming the theft (which they sort of did), the makers would also try to perpetuate this claim. I’d also found this article, which lamented that the diocese in question had refused permission to DNA test the skull in question for the documentary. This seemed to suggest that the filmmakers were going to play the old ‘they won’t let us test it, therefore our theory is correct!’ card. So, I decided to start looking at the book’s claims on face value, without being swayed by the documentary. Then I read this summary of the documentary and archaeological team’s findings. The team were granted access to the crypt to laser scan the skull and carry out a forensic anthropological analysis. The results revealed that this skull belonged to an unknown woman who was in her seventies when she died. This would definitely torpedo Mr Stirling’s entire book thesis, as the skull seems to be the lynchpin of his broader argument that Shakespeare was murdered. Reading this interview, it appears that Stirling refuses to accept Wilkinson’s findings, and even accuses the makers of the show of ‘cognitive dissonance’ and ‘confirmation bias’ on his blog. Readers familiar with the phenomenon of pareidolia will find these comments somewhat ironic. The onus is surely on the claimant to show that this skull is Shakespeare’s, and not on the TV producer or anyone else to prove that they aren’t. It’s also unfortunate that he goes on call into question the professionalism of the expert involved, Dr Caroline Wilkinson of Liverpool John Moore’s University (whose PhD is in Facial Anthropology). Doubly so because he was happy enough to use evidence produced by the same expert in his book (even if the reconstruction in question was of the dubious death mask). Clearly the conditions imposed on her analysis weren’t ideal. The team weren’t permitted to physically analyse or even touch the skull, and the laser scan itself was therefore incomplete, because the skull could not be touched (pretty ironic given that the skull had clearly been moved in 2009). Nonetheless, watching the actual documentary, you can see that they got right into the ossuary/vault and were able to closely scan most of the skull. There was easily enough coverage of the salient features, when combined with photography, to make an assessment. The shape of the cranium is clear both in the photos and the 3D render, and it’s a gracile, smooth forehead lacking in brow ridges. Incidentally, if the Davenant bust really is a likeness of Shakespeare, it’s a poor match for the skull, as the profile photo in this article shows. Otherwise, as Wilkinson points out, not only are the teeth missing (not surprising given the damage sustained) but the actual bone of the upper jaw has resorbed. In other words, there are no spaces for the teeth. That’s a pretty definitive indicator of total tooth loss, not something we’d expect on a well-to-do middle-aged playwright. Now, Wilkinson is a leading academic in her field, and is not likely to allow herself to be misrepresented in a TV documentary (she’s appeared in a number of them). She is clear that the skull appears to be of an elderly female rather than a middle aged male. Like any responsible academic, she did caveat her conclusions (‘I would be somewhat cautious’). So yes, there’s room for doubt that the skull might be a particularly feminine and prematurely aged male. But even then, is that a match for what we know of Shakespeare? I’d say not, but then comparing a partial skull with artistic depictions made after the fact is fraught with difficulty. But again, the onus must be on the claimant. Even if the documentary didn’t 100% prove that the skull wasn’t Shakespeare, Stirling is very far from proving that it wasn’t. Therefore our provisional conclusion has to be that it probably isn’t. Overall, not a bad documentary with some interesting information, and I do agree that the Beoley skull is almost certainly NOT Shakespeare’s. However, as I’ve explained above, they really haven’t shown, as press reports claim, that ‘Shakespeare’s head appears to be missing’ nor that ‘the skull was probably stolen from what is a shallow grave by trophy hunters’. I think the anomaly they’ve identified is just as likely, if not more so, to reflect some other building work, possibly repairs made following the documented collapse in 1818. 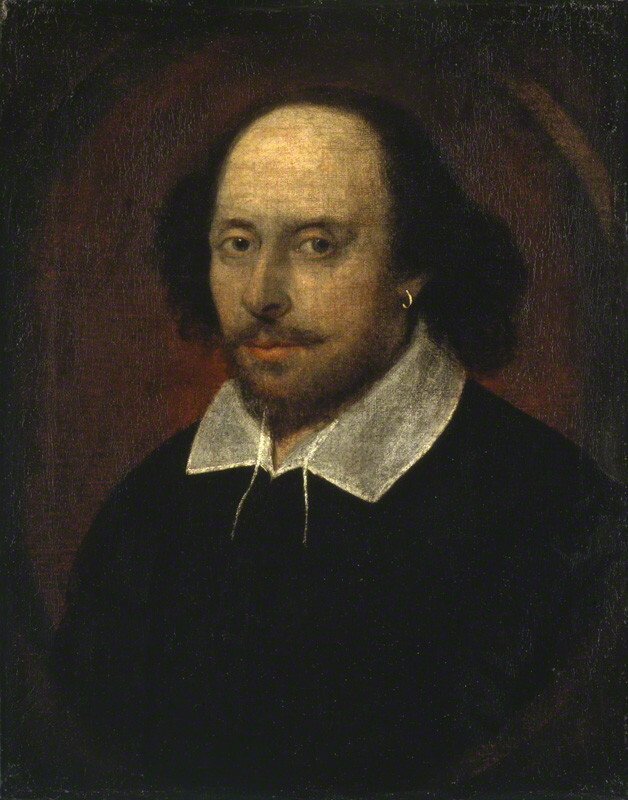 ‘…is of Shakespeare certainly, but of Shakespeare as a child about twelve or fourteen years old ; whereas this is that of Shakespeare when he had attained a certain age and had become the greatest genius of which England is so justly proud’. -Frank Leslie’s Lady’s Magazine, Vol.14-15, 1864, p.287 (but also various period newspapers). Next Post Hairy Bikers? Hairy BS, more like. What a splendid article! Your ruthless yet good-humoured logic leaves little room for doubt. Your joke at the end of the piece stirs a faint memory; is there not an earlier version of this gag in one of the novels of Thomas Love Peacock, concerning the purported skull of Swedenborg? I’ll check, when I have a chance. Why thank you! I’ll be interested to know about the Swedenborg thing. I’ve just looked up ‘Headlong Hall’, but that seems to concern Cadwallader. I will probably write a spin-off piece about Edwin Thomas Woodhall, who shamelessly plagiarised Langston’s story in the 1930s. Oh dear, I must have got this wrong; it isn’t Peacock (you are quite right about Cadwallader). But I have found the joke somewhere…..